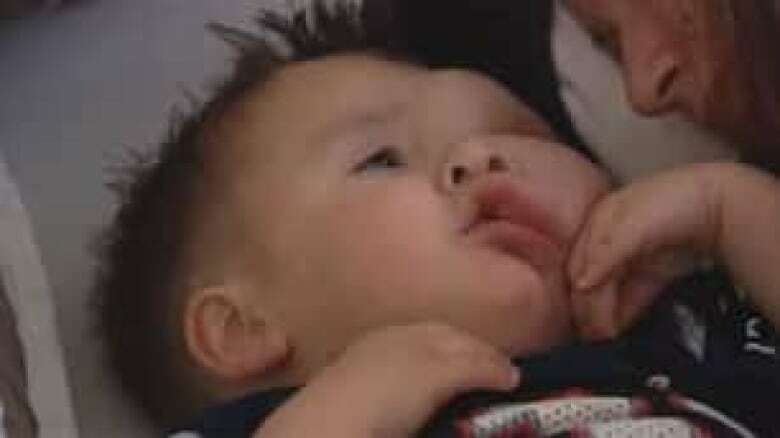 Surgeons in New York City have removed a deformity from the face of a two-year-old Edmonton boy. Surgeons work on two-year-old Maddox Flynn's face during his operation in New York City on Friday. 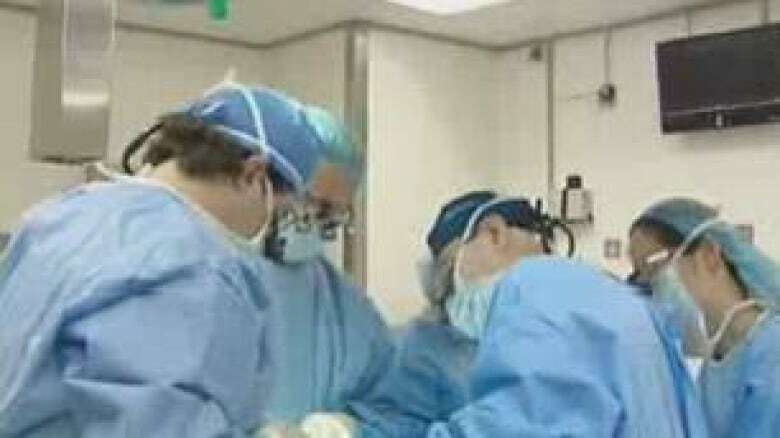 ((CBC))Surgeons in New York City have removed a deformity from around the left eye of a two-year-old Edmonton boy. Maddox Flynn was born with a rare condition called lymphatic cystic hygroma, which causes swollen bulges beneath the skin. Doctors in Canada weren't able to help him, so he was flown to New York to have the operation at a private clinic. The first surgery wrapped up Friday afternoon. "I'm on Cloud 9 right now," Maddox's father Mike Flynn told CBC News on Friday afternoon by phone from New York. "I'm beside myself right now," Flynn said, describing the procedure as "just amazing." It is not yet known if the boy still has sight in the affected eye. He still has swelling on his face but that will be removed during reconstructive surgery scheduled for September. Maddox Flynn is shown with his mother, Nicole Champagne, in Edmonton prior to travelling to New York City. ((CBC))"I want to see Maddox wake up and to be able to go to school and play hockey without the emotional scarring. That is what I want," Flynn told the CBC earlier on Friday. "I hope it'll make him just like a regular little boy," said Maddox's grandfather, Jean Paul Champagne, who is also in New York. "The family is relieved," said Maddox's aunt Juliette Champagne in Edmonton, adding that she heard "there were at least a dozen doctors and surgeons in the operating room," as well as film crews documenting what was happening. The surgery was made possible by people across Canada who have donated $175,000 so far to help cover medical bills and travel costs. One of the donations came from Edmonton Oilers centre Gilbert Brulé, who sent $10,000. It is not yet clear if the province of Alberta will pay for Maddox's treatment in the United States.